The price looks weak but is again held by support at about 1.2923. There are key data releases concerning the GBP due early today which are likely to affect the price. 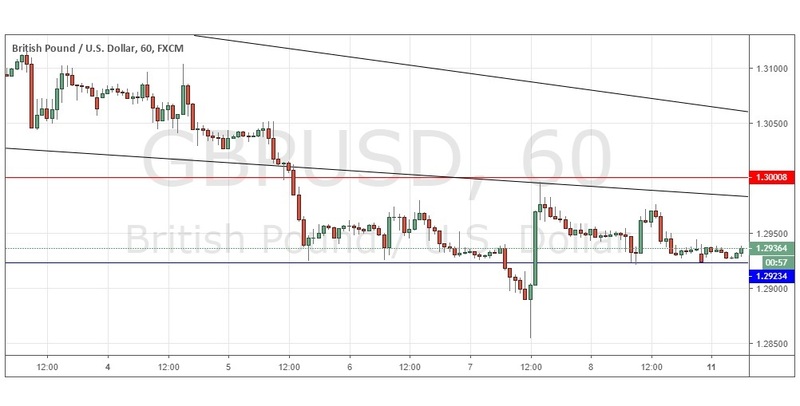 On a quiet Monday, most action in the Forex market is likely to be in this pair today, but direction over the short-term looks unpredictable. There is nothing of high importance due today regarding the USD. Concerning the GBP, there will be releases of GDP and Manufacturing Production data at 9:30am London time.